Mustafa Şen has been full-time lecturer at the Department of Sociology of the Middle East Technical University (METU), Ankara, since 2002. He has taught various courses after he had been appointed as part-time lecturer from in 2001. Before that, he had been a research assistant in the department from 1993 to 1999. From 2004 to 2005, Mustafa Şen was invited as visiting scholar at the Interdisciplinary Institute for Conclict and Violence Research of Bielefeld University. In addition to teaching responsibilities, Mustafa Şen took part in numerous research projects. He was a member of the Turkish team in a EU-funded project on faith-based organisations and exclusion in European cities (FACIT). He coordinated the TÜBİTAK funded project “Profiles of Conservative Politicians in Turkey” and was a member of the METU project “Solidartity Networks of Immigrants in Berlin: A Comparative Analysis”, amongst others. 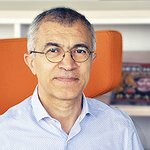 Mustafa Şen research interests are in economic sociology, sociology of religion, Islam and religious movements in Central Asia and sociology of transition to the free market economy in Central Asia.